Many hapless borrowers are talked into ill-fated debt management repayment plans including Chapter 13 bankruptcy. They are told that bankruptcy (Chapter 7 liquidation) will ruin their credit. It stays in the credit file for 10 years. In response, these troubled debtors quake with the fear of stigma and the thought of becoming a credit leper. While it is true that both Chapter 13 (debt repayment) and Chapter 7 (liquidation) show up in your credit report for 10 years, it does not follow that Chapter 7 bankruptcy ruins your credit for 10 years, or even 2 years. In the late 1990s, when mortgage lenders began widespread use of credit scores, the credit score providers told lenders to keep the scores secret from the borrowers. The score providers would otherwise cut off the lender. This secrecy created a howl of protest. 4 Unless, perhaps, your credit score makes you look better than you deserve. Nevertheless, eloan.com braved the storm and began releasing scores to its customers. True to their word, the credit score providers threatened to throw eloan.com out of the fraternity. Not only did eloan.com refuse to buckle under, the California legislature entered the fray and mandated release of credit scores to all Californians. Shortly thereafter, Fair, Isaac (FICO) set up its web site, myfico.com. Now, for around 50, anyone can learn their FICO scores as created from credit data held by the three major credit repositories (Equifax, Experian, and Trans Union). If you don't want to pay for your credit information, you have several alternatives. Consumerinfo.com. This web site operated by Experian will give you a free credit report, but it also will automatically enroll you in a 79.95 credit-monitoring service. Cancel this service within 30 days and you owe nothing. Free reports. Various states require credit bureaus to provide reports for free, or at nominal cost. Also, under federal law, you may receive free reports from each of the repositories if you're unemployed and looking for work, you're on welfare, or you've been turned down for credit during the past 30 days. General commentary. For the latest (usually critical) commentary about credit scoring and credit reporting, go to www. creditscoring.com and www.creditaccuracy.com. Also, the Federal Trade Commission maintains consumer information on all types of credit issues at www.ftc.gov. Through credit scoring, lenders try to push personal judgment away from credit evaluation. Credit scoring data from auto loans, department store accounts, and credit cards prove that computer statistical programs can distinguish platinum, gold, copper, lead, and plastic far better than backoffice loan clerks or front-office loan reps. To create these credit-scoring programs, math whizzes study the credit profiles, borrowing habits, and payback records for millions of people. 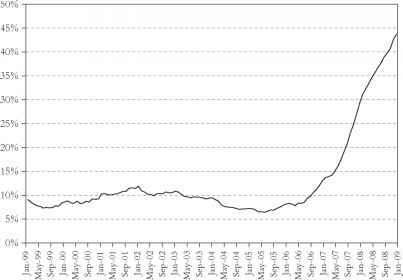 Then they search for statistically significant correlations that tend to rate borrowers along a continuum from walk-on-water (say, 800 or higher) to neck-deep (say, 550 or lower). Credit scores range from 350 to 850, but more than 80 percent of Americans score between 600 and 800. As emphasized, most mortgage lenders assess your creditworthiness through credit scoring. Fannie Mae, Freddie Mac, FHA, VA, and portfolio lenders such as Washington Mutual all follow some form of this so-called black box credit evaluation. If your credit score pops out at, say, 720 or higher, problems are not likely. Just make sure you've not messed up any of the other Cs of credit approval, and you're home free at (or near) the lowest interest rates and costs available (provided that you understand the mortgage process and don't let some sharpshooting loan rep get you in his sights). If your score totals between 660 and 720, however, you may not get the best terms with the least amount of hassle. And if your score falls below, say, 620, some lenders will push you into subprime (much more expensive) mortgages unless your other Cs tell a persuasive story. Below 600 or so, watch out for predators or try for protection with FHA or VA. Earlier, Mortgage Secrets discussed the fact that any given borrower will receive a credit score from each credit repository. Should the credit data in these files materially differ, the corresponding credit scores will differ. This fact brings up the question Which score will the lender choose to use if one or two of your scores fall below program minimums To a certain extent, it will depend on the persuasive story you tell. In most instances the lender selects the lowest middle score of all applicants. If you and your co-borrower (spouse, relative, partner), respectively, show these scores, 580, 610, 655 and 720, 730, 760, the lender might very well use 610 as the relevant credit score for underwriting. Your credit score may take 30 to 60 days to incorporate new or changed credit file data. In the meantime, if your loan program requires a 660 score and your uncorrected score stands at 648, you could be out of luck. (Some mortgage lenders use the lowest middle score of all loan applicants. Most lenders do not merely average credit scores. So, ask your loan rep in what precise way the lender weighs the individual scores of a single borrower as well as the multiple scores of two or more co-applicants.) won't work when the creditor fails to respond in a timely manner and it doesn't work to achieve the score boosts you could achieve through savvy credit management. To improve your long-term credit score, change your credit profile. Pay your bills conscientiously close excessive accounts reduce the amount of your outstanding balances but total payoffs of all accounts may hurt because you want to maintain an active credit experience and resolve disputes, liens, judgments, and write-offs. No one can quickly overcome the stains that soil a credit report when they lawfully belong there. Just clean them up as best you can. At the same time, manage your credit as if the FICO folks were looking over your shoulder because they are. A 1977 federal legislation that regulates credit reporting agencies and the access to and use of consumer credit data. Credit bureaus can only provide access by court order or, with the consumer's permission, for credit, insurance and employment. Also, credit bureaus must correct or remove errors brought to their attention and provide file data to the consumer. Lenders who reject an application because of adverse credit information, must inform the borrower about the source of that information and make credit information on file available. The credit scorers select certain characteristics that you share with others who have (or have not) paid their bills as scheduled then, based on these selected characteristics, the scorer's mathematical formula assigns you a number. Supposedly, this assessment accurately gauges the risks you present to the lender but it doesn't. Why Because you are a unique individual. Although you share some similarities with this computer sample of borrowers, you also differ in many ways of which the credit scoring programs know nothing. These unaccounted-for differences may give you more (or less) borrowing credibility than your credit score indicates. Credit scores parallel SAT scores and other college admissions tests. If you fail to register a top score, you can kiss Stanford good-bye unless, that is, you write a superlative admissions essay and bolster your application with distinguishing achievements (and, of course, a big donation from your rich uncle wouldn't hurt your chances). Seriously damaged credit is normally unacceptable for conforming programs, although occasional exceptions are allowed. Conforming loans must have grade-A credit, although Aminus credit is acceptable when compensating factors are present. Damaged credit borrowers face even higher interest rates than other non-conforming programs. Remember, however, that you should always view high interest rates as short-term. As your credit grade improves, you will be able to refinance to lower rates and better terms. Please consult the Damaged Credit Options and Repairing Damaged Credit articles for more information. 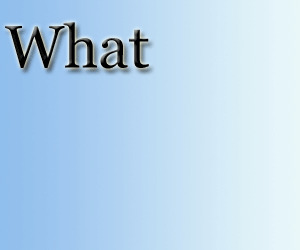 Specific articles on borrowers with bankruptcies or foreclosures are also available. The allegation that white and minority mortgage applicants received differing levels or quality of assistance in preparing mortgage applications. These terms were used primarily before the advent of credit scoring in mortgage lending. In the current mortgage market environment, credit and mortgage scoring have taken a front seat to judgmental systems. With greater reliance on these automated systems and less human judgment in the decision process, the quality of assistance provided applicants is even more important. or prospective applicants to improve their credit score is offered equitably. Applicants have a clear understanding of the importance of their credit score to the approval and pricing processes. Mortgage brokers, especially for compliance with fair-lending laws, pricing policies and the use of credit-scoring models. The reason lenders know the good guys from the bad guys is that they have dealt with them over a number of years. In a situation where there have been excessive defaults on loans from the same mortgage broker, or if defaults often occur within several months after the loans, it is not difficult for a financial institution to gather evidence of what happened and of potential wrongdoing. There may have been problems with these loans The applications are being falsified, the income levels are being falsified, the credit report has inconsistencies on it or credit scoring doesn't really match. The credit score is not sufficient to justify the loan. Mortgage Credit Partnership Credit Scoring Committee The purpose of the Federal Reserve System's Credit Scoring Committee is to publish a variety of perspectives on the credit-scoring process and to identify areas where the use of credit scores may create disparities in the home mortgage process. 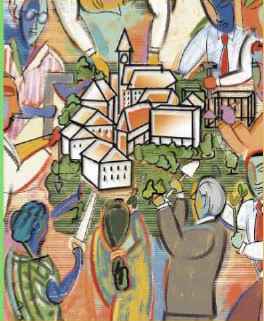 The first four installments in this series addressed aspects of the use of credit scores and fair-lending concerns, including the maintenance of scoring models, the use of third-party brokers and the provision of assistance in the credit-application process. The fifth and final installment addresses the use of counteroffers, overrides and second reviews of credit-scored decisions. We have solicited feedback from industry, consumer and academic representatives to ensure a variety of perspectives on these topics. As an added step to these projects, representatives from the Reserve Banks that conducted MCPs met to exchange their individual findings and experiences and also to discuss areas of common concern. Among the issues of common concern were access to homeowner's insurance, appraisals in redeveloping communities, steering by real estate agents and the use of credit scoring technology in the mortgage underwriting process. 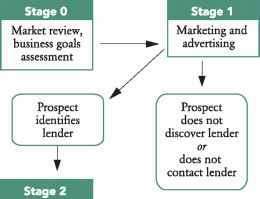 The last is the subject of the first installment, which provides the context for the next four installments on fair mortgage lending practices involving the use of credit scoring technology. The Federal Reserve Banks of Boston, Chicago, Cleveland, San Francisco, St. Louis and the Federal Reserve Board have representatives on the research committee, and they all have participated in this series. Credit scoring is an underwriting tool used to evaluate the creditworthiness of prospective borrowers. Utilized for several decades to underwrite certain forms of consumer credit, scoring has come into common use in the mortgage lending industry only within the last 10 years. Scoring brings a high level of efficiency to the underwriting process, but it also has raised concerns about fair lending with regard to historically underserved populations. The Federal Reserve System's Mortgage Credit Partnership Credit Scoring Committee has produced a five-installment series, which explores the potential impact of credit scoring on mortgage applicants. This brochure is the introduction to all five installments. These Fannie and Freddie low-down-payment loans do apply tougher credit standards than either FHA or VA, but their loan limits reach substantially higher. Also, borrowers whose credit scores reach 680 (possibly as low as 620) will probably pay less for private mortgage insurance with Fannie and Freddie loan programs than they would with FHA. On the other hand, borrowers with FICO scores of less than 620 may find that FHA's mortgage insurance premiums (MIP) now fall below the premiums of the private insurers who guarantee Fannie and Freddie's low-down-payment mortgages (i.e., LTVs greater than 80 percent). You'll need to compare costs based on your specific situation. 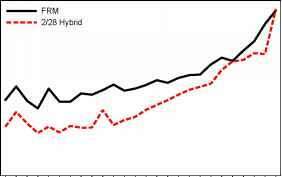 No firm conclusions apply because competition perpetually shifts the pricing landscape. Plus, your full range of underwriting Cs (Secret 40) can influence loan terms and costs. One of the greatest benefits of a Home Keeper for Purchase is that you may be able to afford a slightly higher valued home that you wouldn't ordinarily be able to buy. Because reverse mortgages don't base your loan on credit scores or income levels, the two factors that usually drag a loan value down, you may be able to get more money out of the Home Keeper for Purchase than you would with a regular forward mortgage. But don't start touring mansions quite yet. The operative words here are may be able to afford a slightly more expensive home. The Home Keeper isn't going to get you into a lakeshore condo if you're currently living in a one-room shack, but with the right equity and a decent down payment, you may be able to move up a little in the housing world. No loan rep can know the interest rate a lender will charge you until after you've submitted your application for a loan. Interest rates for 30-year fixed-rate mortgages will vary according to your credit score, qualifying ratios, cash reserves, amount of down payment, type of property, and other variables the loan reps won't learn until they see all of your financial data. Moreover, mortgage rates change daily. No loan rep can confirm the rate you will pay until the day you lock or the day funding occurs (if you choose not to lock). While foreclosure makes the lender whole, it is a disaster for you. Your equity is depleted, you incur the costs of moving, and your credit is ruined. Hence, you must avoid foreclosure, if necessary by selling your house. If your financial reversal is permanent, sell the house before you begin accumulating delinquencies. In a high-equity situation, there is little hope that the lender will agree to modify the loan contract, so don't waste time trying. If you sell, at least you retain your equity and your credit rating. or a deed in lieu of foreclosure. In the first, you sell the house and pay the lender the sales proceeds while in the second the lender takes title to the house. 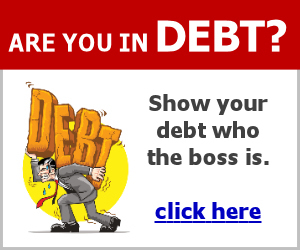 In both cases your debt obligation usually is fully discharged. (They do appear on your credit report, but are not as bad a mark as a foreclosure.) The lender who can get all or most of his money back in these ways probably will not be willing to modify the loan contract. Judgments are probably the most serious of the negative credit entries. Bankruptcies and foreclosures are the most damaging types of judgments. Judgments remain on the applicant's credit report for ten (10) years after the discharge date. Other judgments include personal judgments and tax liens. Medical and utility collections are some of the most common type of collections seen on credit reports. Medical collections usually are now counted as seriously against the applicant. Most mortage lenders will require the borrower to pay off the collection and delinquency amounts prior to or duing the closing. Remember, most reputable not-for-profit credit counseling agencies are funded by banks. Although these organizations employ dedicated people who would like to help you, their jobs depend on encouraging borrowers to elect partial debt repayment rather than Chapter 7. As to the disreputable for-profit and ersatz not-for-profit debt management companies, they reap credit repair fees by taking a slice of your monthly debt management payments. The debt counseling industry does not gain when debtors file Chapter 7. Consolidation, however, has important disadvantages that should be carefully weighed in making a decision. Perhaps the most important, at least for some borrowers, is that consolidation converts unsecured debt to debt secured by your home. If a financial reversal in the future makes it impossible to service credit card debt, you can stop paying. You will lose your good credit rating, but if you can continue to service your first mortgage, you won't lose your home. A stated asset program works the same way as a stated income program, and good credit is required for approval in this program, too. If you have good credit, but you don't have the cash reserves you need, you simply ask for a stated asset loan, and the mortgage broker will state enough assets on your loan application to appease the lender. Because the market for this model bears an interest rate of 6 , and we're assuming the borrower has good credit (more on credit later). The loan officer could have offered the far better 6 rate, which would create a payment of 829. This is 66 less than the borrower's payment at 7 . Also, the 7 rate will cost the borrower an extra 792 each year ( 66 times 12 months). That is nearly 4,000 over five years All this, just so the mortgage broker could pocket a few hundred dollars more on this one deal. Moriizumi (2000) considered the case of public corporations in Japan. These corporations lend to individuals for house purchase at low interest rates, but apply credit limits. Thus a household wishing to exceed the credit limit must then borrow from the private banking system. The work again followed the procedure of Linneman & Wachter. Rationed and non-rationed samples are formed and parameter estimates derived from switching regression analysis. Households who do not top up their borrowing from private banks are assumed not to be rationed. Once again the results of the study emphasises that housing and mortgage demand equations that do not explicitly account for rationing criterion will produced biased coefficient estimates. 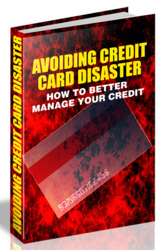 On the other hand, if you want to rebuild your credit as quickly and securely as possible, Chapter 7 can make sense. After you obtain a Chapter 7 discharge, you're debt free, except possibly for past-due taxes, student loans, and some types of judgments. Instead of plugging 300 to 3,000 a month into paying off debt, you can put that money into savings. Within a year or two, you'll be much further ahead financially than if you were still stuck in a payoff plan. As to credit profile, cash in the bank and no (or very limited) debt give you a better credit profile. Fannie and Freddie will each consider Chapter 7 bankrupts two years after discharge. FHA VA will consider such persons after one year. In other words, when you're really drowning in debt, Chapter 7 can put you on the path to mortgage approval and financial stability faster and more effectively than a debt repayment plan. 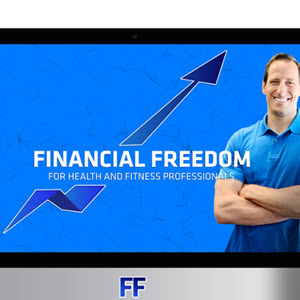 When I turned age 21, I wanted to build wealth and financial freedom as quickly as possible. At the time I was an undergraduate college student. I had little cash, no full-time job, and no credit record. I knew that back then (unlike today) no bank would approve me for a mortgage. But this small fact didn't crash my goals. No self-defeating self-talk for me. So, I searched for properties that I could purchase from sellers on an installment contract. By the time I completed my PhD, I had bought more than 30 houses and small apartment units. The cash flow from those properties paid many of my college living expenses. For example, consider the investor with damaged credit and no money who purchases a property for 100,000 with no down payment. The initial interest rate could be very high, because of that investor's high-risk situation. However, that same investor can refinance to a lower rate once the investor's credit improves or a subsequent appraisal shows some appreciation. After you list your reasons why you can afford the mortgage you want, don't just tell your loan rep. Explain in writing. Get supporting letters from your employer, minister, landlord, clients, customers, or anyone else who can vouch for your good character, creditworthiness, job performance, or personal responsibility. Table 10.2 shows that the loans in the pool are high-interest-rate (8.46 percent) loans to deep subprime borrowers (639 average FICO score) who are really stretching to make payments (39.4 percent average debt-to-income ratio and you can be sure many were lying about their incomes). Almost 83 percent are adjustable-rate mortgages, more than half of which reset within two years. More than half are in California and Florida, and almost 48 percent are loans. Depository institutions (which include banks, thrifts, and credit unions) collect deposits from both wholesale and retail sources and use those deposits to fund lending activities. Since depositories have both loan and securities portfolios, such institutions have the option of either holding loan production as a balance sheet asset or selling the securitized loans into the capital markets in the form of mortgage-backed securities (MBS). In addition, there is a market for nonse-curitized mortgage portfolios, or whole loans, because there are accounting advantages for depositories to hold loans on their books instead of securities. Nondepository lenders (mainly mortgage bankers) do not have loan portfolios, and virtually all loan production is sold to investors through the capital markets. At the opposite extreme from prime loans are subprime ones, which are given to borrowers with very poor credit histories and low FICO scores, typically below 620 to 660, depending on whose definition you want to use (the average FICO score for securitized subprime loans was 617 as of January 2009). Such borrowers are generally poor, aren 't well educated, have spotty employment histories, and have frequently been late or defaulted on debts in short, precisely the people a lender should be very cautious about. Whereas FICO score is used as an indicator of an individual's willingness to repay his or her loan, DTI ratio is a measure of the individual's ability to repay it. (Note that DTI ratios are not provided in Exhibit 5.2.) Two DTI ratios are used commonly in mortgage underwriting, the front end and back end. The front-end ratio divides In the agency market, 28 is an acceptable front-end ratio and 38 an acceptable back-end ratio. Some exceptions may be made for compensating factors, such as a high FICO score. Front-end DTI ratios average around 35 for jumbo and alt-A deals and 40 for subprime. 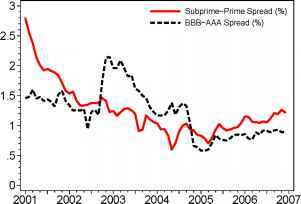 While they vary between issuers, back-end DTI ratios in subprime deals average over 50 . Prior to 2000, the typical borrower could borrow roughly three times his income to buy a house. Figure 1.3 shows that in January 2000, a person with pretax income of nearly 34,000 (the national average) could take out a mortgage of 3.3 times this amount, or 110,000. Of course, the borrower had to have a 20 percent down payment and a decent credit history, and banks were rigorous about evaluating the ability to repay. But all this began to unravel as the years passed. Options because of lack of complete and unbiased information, e.g., they may not be able to obtain an accurate home price, unless they are selling it. And there are also some other fixed variable costs associated with these options, such as the commission paid to the real estate agent, the cost to initialize another loan, and the negative credit rating impact when the borrower defaults on a mortgage. All these factors contribute to the complexity of MBS cash flows. In practice, the cash flows are generally projected by complicated prepayment models, which are based on statistical estimation on large historical data sets. Because of the complicated behaviors of the MBS cash flow, due to the complex relationships with the underlying interest rate term structures, and path dependencies in prepayment behaviors, Monte Carlo simulation is generally the only applicable method to price MBS. In this chapter I describe the loan and borrower characteristics that distinguish the different parts of the U.S. nonagency mortgage-backed securities (MBS) market. I believe that this description is an important first step in understanding the non-agency market not only because these characteristics define the different sectors but also because they determine each sector's prepayment and credit performance. 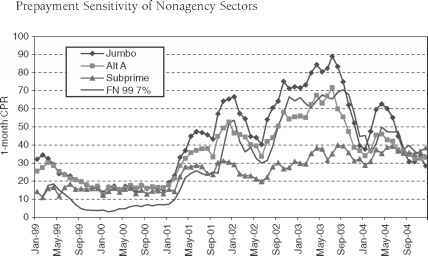 While many types of loans are found in the nonagency market, I shall focus mainly on jumbo, alternative-A (alt-A), and subprime home equity loans. I have shown how the characteristics that issuers use to define their different shelves determine, to a large extent, the prepayment and credit behavior of the various parts of the nonagency market. These definitions have evolved over time and sometimes differ from issuer to issuer. Even with these changes, though, the definitions presented here are still useful. By examining the characteristics of individual deals, investors can make reasonable estimates of the future prepayment and credit performance of the nonagency MBS they purchase. The figure shows the scaled marginal effect of the first-lien loan-to-value (LTV) ratio on the mortgage rate for first-lien fixed-rate and 2 28 hybrid mortgages, evaluated at a first-lien LTV of 80 (left panel) and 90 (right panel). The effect is determined using an OLS regression with the interest rate as dependent variable and the FICO score, first-lien LTV (and the square), second-lien LTV (and the square), debt-to-income ratio, missing debt-to-income ratio dummy, cash-out refinancing dummy, owner-occupation dummy, prepayment penalty dummy, origination amount, term of the mortgage, prepayment term, and margin as independent variables. Mortgage brokers in the UK have also been a source of controversy, with sub-prime lending attracting increased critical attention, but no substantive academic study as yet.9 The question remains as to whether equilibrium mortgage credit rationing is evident in the sub-prime lending market, in the US or the UK Ben-Shahar & Feldman (2003) noted the signalling effects of credit scoring and the possibility that within each credit scoring category there is a menu of mortgage contracts that screen borrowers. Thus asymmetric information and separating equilibrium with credit rationing might still persist, a theoretical issue that invites empirical research. In other words, Elmer continues, we'll give buyers a no-down-payment, 100 percent loan, if, say, those buyers (or close relatives) move enough of their 401(k) funds to our bank to offset 20 or 30 percent of the property's purchase price. Last week, we closed a loan for a young couple in their thirties who bought a 365,000 duplex. Between them, they had good credit and earned 90,000 a year, but little savings because they're rapidly paying off student loans. We financed their full purchase price without PMI, and the wife's mother deposited 85,000 of her 401(k) monies with us. Typically, under a lender-approved mortgage assumption, the lender qualifies the buyers of the property. When the buyers gain approval, the lender releases the sellers from liability on the mortgage note. Whatever happens to that mortgage in the future does not concern the sellers or their credit record. Not so with subject to transfers. In those cases, the seller's credit and finances remain at risk for as long as the mortgage remains outstanding. If the buyer pays the mortgage late, the lender forwards scurrilous remarks about the seller to the credit bureau. If the property goes into foreclosure, the lender will chase down the seller for any money (deficiency) judgments the court awards it. Study was that some households continued to be rationed post-financial deregulation. This was also the case for the discrete choice modelled by the probit equation. A log likelihood ratio test of the explanatory power of the double hurdle model compared to a Tobit estimated on this data offered a more powerful explanation of variation in mortgage demand. Thus the null hypothesis of perfect credit markets with no rationing was rejected. 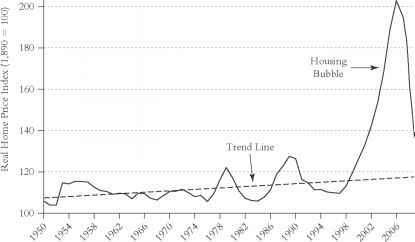 However, there was some easing of credit rationing post-1980, though the exact form of the rationing in either period was not identified. In the preceding analysis I discussed how different loan and borrower characteristics defined the nonagency sectors. For the most part, I focused on minimum acceptable levels and sector averages. However, it is actually the distribution of these various factors that is most important. I say this because most of these variables have an impact on credit performance and speed in nonlinear ways. For example, defaults may increase x going from a FICO score of 700 to 650 but increase 3x moving an equal 50 points from 650 to 600. 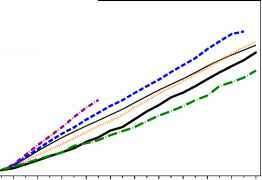 Thus it is the distribution of variables and, in particular, the lower cutoff point that is as important as the overall average. I'd like to write to the president about expanding this program, says Tom Dixon of Catawba County, North Carolina. In referring to the United States Department of Agriculture's Rural Development Administration mortgage, Tom enthuses that, It's a great program . . . this loan can get people into their own houses. This loan makes a tremendous difference to their lives. Under this program, anyone who has a steady job and good credit can afford a house. That's the wonderful thing about this loan.